Open reader view Forgiveness: Favor or Responsibility? I speak now not as a Rebbetzin giving a shiur on forgiveness, but as a therapist. On the psychological role of forgiveness. How forgiveness is different than acceptance. And how, in order to move on, to heal, we need to learn to accept. And sometimes, we may also become vessels of forgiveness. Forgiveness and acceptance are two totally different psychological entities. It is possible to accept without forgiveness, but not to forgive without acceptance. Acceptance is the personal choice a person makes to take control of his healing, acknowledging that one has been wronged, that what has happened is unchangeable, and then doing what it takes to move forward in life despite it. Forgiveness is acceptance with another crucial ingredient. It requires the wrongdoer to be involved in the process. While it is true that there are some great people who can reach the level of forgiveness towards others who have hurt them even if those others are not remorseful or seek to make amends, this column is aimed at us ordinary people. Let us replace the word forgiveness with acceptance. Why is it necessary to practice acceptance when we have been wronged, often grievously so? 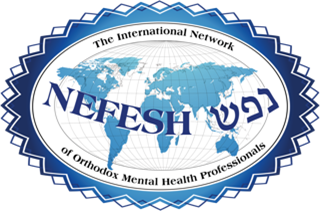 Clients talk of painful childhoods; the perpetrators of this pain were adults, such as parents, older siblings, or teachers/rebbeim. But it is not only my clients who have these experiences; it is all of us. We harbor anguish at the bullies of our elementary school classes, principals who wrongly accused or punished us, grandparents who favored our cousins, workmates who undermined us, classmates who used us, and spouses/ex-spouses who have betrayed us. The lists are endless; the hurt is deep and enduring. Very simply, when we experience prolonged periods of anger, resentment and bitterness, it takes its toll on our mental, emotional, spiritual and even physical well-being. There is plenty of research backing up this claim of how our mental state influences our tendency to heart attacks, strokes, diabetes and other illnesses. No joke. Lack of ability to accept the past prolongs our suffering. We suffered when that bully met us every recess on the playground, and if we live with that bitterness until today, in some measure, we are prolonging the suffering we experienced as that ten-year-old. Awful, no? Another very important reason to accept what has happened is so that a relationship is possible with that person. Many of us live in a community where families are interconnected. Where our children attend the same schools/chadarim/yeshivos we attended as children. Often this person is still part of our lives. And cutting that person out has ramifications that can reverberate beyond ourselves. Cutting off a grandparent from your children is not only harming their development, but it creates the possibility for your own children to use cut-offs as a means to solve problems. Harboring hard feelings toward an old teacher your daughter will be having this year is obviously detrimental to her school year. Conflict is often intergenerational. What one generation models, subsequent generations imitate. Your ability to accept and engage in a healthy relationship with a person who has wronged you will impact your children's ability to do the same in a healthy manner. Of course, in the case of abuse, or danger, other considerations apply, and careful discussion with a therapist and Rav is necessary. But we are referring to wrongdoing that is not dangerous to others, and not dangerous to you, if you are able to heal from it. Remember, we are not forgiving the other person for these wrongs when we accept what happened; rather, we are acknowledging we have been wronged; we acknowledge we cannot change the past, and that acceptance allows us to let go of the angry feelings so we can move on. But how is possible then to accept the terrible things that others have done to us? It's not easy. Often, it takes lots of therapy (just joking!). Honor your emotions; feel the full range of your anger and hurt. Let go of your need and fantasies for revenge or retaliation (if you have those feelings). Reframe the wrongdoing in terms of the other person's issues and problem, not yours. See if you can separate the good stuff about the person from the bad and focus some on that. Empower yourself so that you cannot be wronged again by this person. Take control. Now you decide the terms of the relationship with this person who wronged you. Now, here's an important piece. But it is only geared to adults who were hurt, not children (because children are NEVER at fault when an adult hurts them, no matter what the child had done to trigger the adult into hurting them). Be honest about what role you played in those awful behavior that caused you such pain and harm. Now how does one forgive the person who has wronged them? That person needs to validate your pain caused by them. There needs to be an admission of wrongdoing followed by a sincere apology. Lastly, and most importantly, the wrongful behavior must cease. If any of these are missing, forgiveness becomes Divine; and most of us are mere mortals. Many perpetrators are capable of taking these steps, but many engage in states of denial identified by Trepper and Barret (usually in abusive situations): denial of facts, denial of awareness, denial of responsibility and denial of impact. In any of those denials, there is obviously lack involvement in the healing process and so lack of ability to forgive. In this case, acceptance may have to suffice. Closure is important to healing, but sometimes, closing (or slamming) the door shut is what needs to be done instead. Can you ascribe motivations to the person's hurtful behavior in a way that you can empathize or begin to understand them and where they are coming from? Is it possible they did the best they could with the limited knowledge and resources they had to raise you? To teach you? How can you take responsibility for your life today and not fall into the trap of blaming others? For while it is true that as a child you were not at fault for the conditions of your life; as an adult, your present is in your control. Do you like the person you have grown up to be? Think of how your wounds may have shaped you into this wonderful person. You will know you have achieved acceptance when there is no charge, no jolt in your senses or body when you think of those wrongs. You will know when you can think and talk about those wrongs and not feel the pain — and not because you need to numb yourself. “Let go, and let G-d” is the motto of those in addiction recovery. It is a wonderful mantra for us all. And then we can have the audacity to ask Hashem to do to us no less this Yom Kippur. Forgive us. Or at least accept us. No?